Email marketing is one of the popular marketing leverage that was built to communicate with your audience and has proven effective over the years. From this simple channel built to reach out and develop a relationship with new prospects and engages your existing customers to become your loyal clients. It may sound so easy but when it comes to the performance of your email campaign, it needs the knowledge to know what works and your audience behavior to take action and click your campaign. Providing value should always be your number 1 priority. Your subscribers have expectations that should be met by you. I will be the turning to point to be either your loyal customer or look elsewhere. So, how do we provide this value? Targeted and Segmented emails email work best because you are sending the right information that the users are expecting to hear from you with the right call to action. When done effectively, your call to action will urge customers to learn more about a product or service or make a purchase. This push can be in the form of a persuasive sentence or a noticeable button labeled with an action. Use the body of your email to explain to your readers why they need your product and lead them to it with a powerful call to action. Your design should reflect the whole meaning of the email campaign rather than a visual appeal with no value. Visual hierarchy refers to the arrangement or presentation of elements in a way that implies importance. It influences the order in which the human eye perceives what it sees. The important information comes first and follows the least. In that way, you are giving the audience a clear picture. Incorporate Interactive Emails to drive more click-through rates of your email and engage more of your subscribers. When you plan to do an interactive email campaign, you have to make sure that the email client will CSS Emails support. You will also need to create a fallback content because these emails work one different email clients. Create something that is engaging, something that is different and stands out from the rest. Make your call to action prominent by using action verbs. Don’t use the typical “Submit or Click Here” CTA, this is so old school. 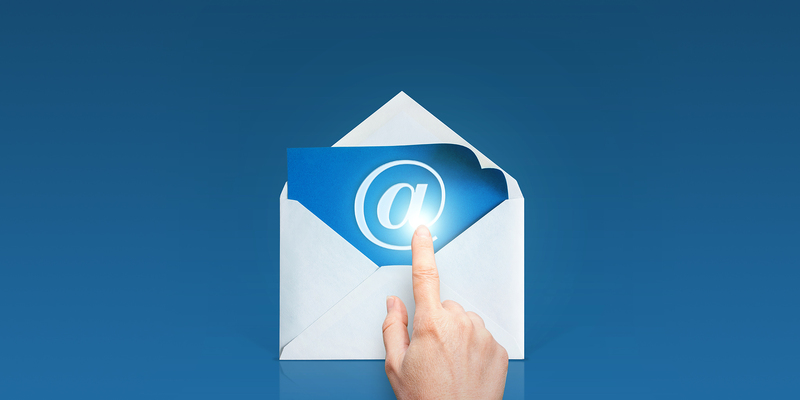 CTA placements and sizes are also equally important in your email campaign. Your CTA should be visible enough to get noticed and designed well that goes well with your brand. Putting the CTA above the fold is a great idea to get noticed first. Colors play an important role in your email campaign. It resonates specific feelings and emotions in mind of the subscribers. Also, be wary of choosing colors based on the cultural background of your audience and your brand image. It is important to understand cultural differences and the significance and interpretations that certain colors have in different parts of the world. The fonts sizer and colors create a visual appeal that enhances the overall structure of your email campaign. Don’t go overboard with it with so many colors. It will overwhelm your readers. Credibility is very important and Social Media proof is one way of checking. How many times have you checked on something to see if they have great reviews of Tripadvisor or a million likes on Facebook? Well, this is like our due diligence. We all trust customer ratings rather than advertisement or tagline. • Testimonials - the power of testimonial boost credibility that someone outside the brand is talking. • Ratings and Reviews - Customers review can be powerful. With ratings, such 5 stars system gives the impression of competence. • Influence Endorsement - it becomes more relevant when a famous social influencer uses the services that your audience respects and look up to add more value to your brand. • Badges or Certificates - This certainly changes the whole perception of the people if you have Google certificate or partnership or Tripadvisor badge. When you display this it boosts the credibility with potential new customers. • Social Connections - All kinds of website plugins will enable you to leverage your social network connections. This is simply an engagement strategy and social presence.